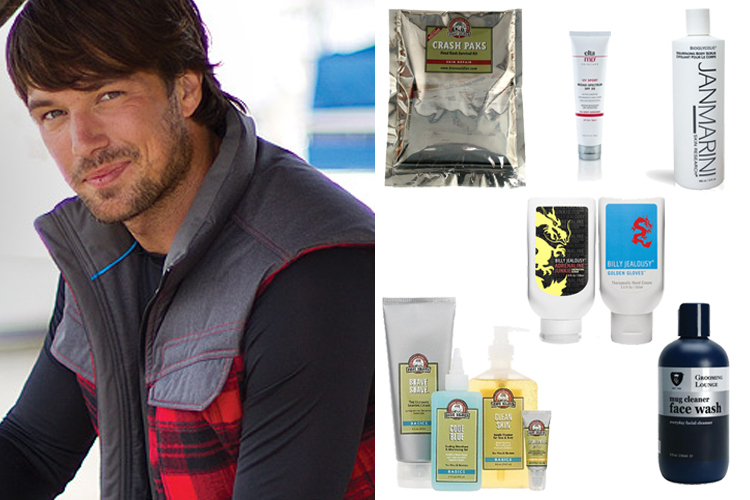 When you're shopping for the rugged Outdoorsman, you probably don't think about beauty products. Believe it or not, his skin definitely needs some real pampering! For products that fit his needs without going out of his comfort zone, check out this week's gift guide. You may have to remind him to use his sunscreen. EltaMD UV Sport SPF 50 is the perfect solution to keep his skin protected in an 80 minute water and sweat resistant formula. It can also be applied to wet or dry skin, so it's the ideal sunscreen for all outdoor activities. To wash away the sunscreen, dirt and grime, he'll need a good face wash. Swap out his usual bar of soap for Grooming Lounge Mug Cleaner Face Wash. This award-winning cleanser also preps the skin for shaving. He may not know the benefits of a good face scrub, but he'll certainly feel it after using Billy Jealousy Adrenaline Junkie Energizing Scrub. It will definitely scrub away any outdoor remnants, smells like peppermint, and the name is right up his alley! A good body scrub goes a long way too! To treat his rough and weathered skin, Jan Marini Bioglycolic Resurfacing Body Scrub is a great choice. It scrubs away his daily adventures, tackling rough or calloused areas and reduces signs of sun damage. With so much time spent outside, it's likely that his hands are needing some special care too. Instantly smooth cracked, chapped hands with Billy Jealousy Golden Gloves. Spoil him gift: Brave Soldier Ultimate Shaving Set. This four piece set includes a full size shaving cream, face & body wash, aftershave, and SPF lip protectant. A great gift set for any man! Follow our blog for more helpful gift guides, and exclusive details on our Winning Wonderland 2014 Holiday Giveaway! !